Leeds United could not get back to winning ways following defeat to Norwich City last time out, but at least they secured a point against Middlesbrough with an injury time equaliser from Kalvin Phillips enough to earn a 1-1 draw. Whites manager Marcelo Bielsa certainly had attack on his mind with his team selection, including both Patrick Bamford and Kemar Roofe in his starting XI, though fans may have been surprised to see attacking-midfielder Pablo Hernandez left on the bench. So Leeds remain in second place in the table after this draw, two points behinds leaders Norwich, but did Bielsa get his team selection right against Boro? “You can’t blame him for going for it. “Playing the likes of Roofe and Bamford worked well as Leeds looked fairly dangerous going forward. “The omission of Pablo Hernandez was strange, and Leeds probably missed his craft, but apart from that, it felt the right call. “I think whatever team he chose it would have been a difficult task against Middlesbrough. 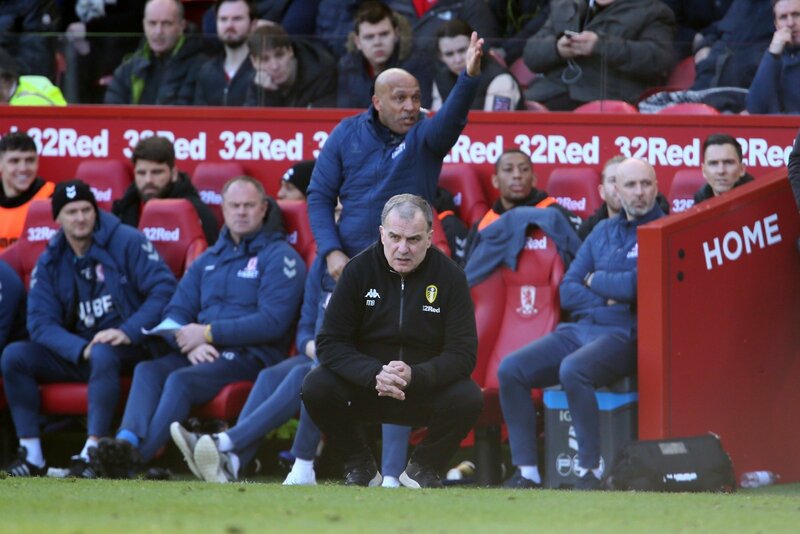 “Tony Pulis’ side were happy to set in and suffocate Leeds’ attack, and I think the tactical battle that had more of an effect than the team that Bielsa picked.